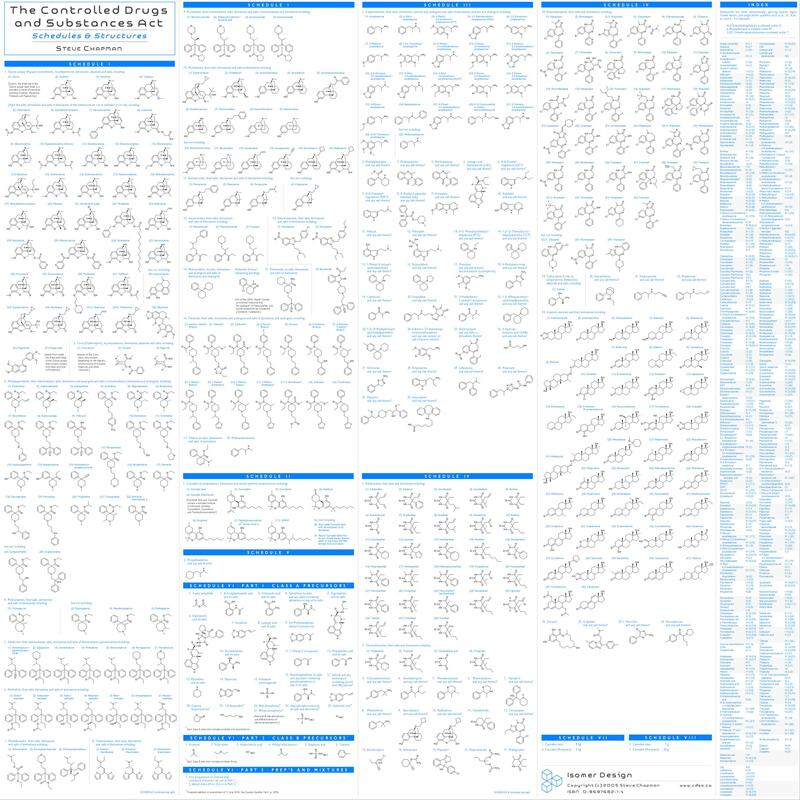 From acetone to ketamine, LSD to zolpidem, 385 drugs, chemicals, plants and natural products are charted and indexed, including over 350 structural diagrams. Full coverage of Schedules I through VIII of the Controlled Drugs and Substances Act. 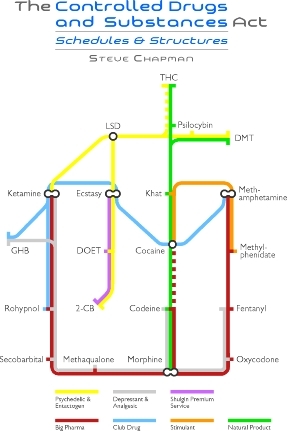 Includes natural and synthetic opioids and other analgesics, benzodiazepines, barbiturates, amphetamines and other stimulants, psychedelic and entactogenic drugs, anabolic steroids and precursors.